Toolbox Pilates is excited to provide this teacher training course to you and to help you become a qualified teacher in the Pilates filed. Our goal here is not just to train you to have a better understanding of your own practice, but also allow you to pass on your knowledge to others. After the teacher training course from Toolbox, you will be qualified to teach Reformer at Toolbox under the owner, Iva Gotzev’s supervision, and anywhere else. Below is a list of items for you to prepare prior to the training, and some additional information so that you know what to expect. Please direct any questions you might have to Pinling or Iva. We are looking forward to guiding you through the journey of becoming a successful Pilates Reformer instructor. The course requires lecture, practice, observation, and student teaching hours. You would need to pass a final written test and one hour teaching test. At the completion of course-hours attendee will attain apprentice status. Students will have one year to finish apprentice hours. 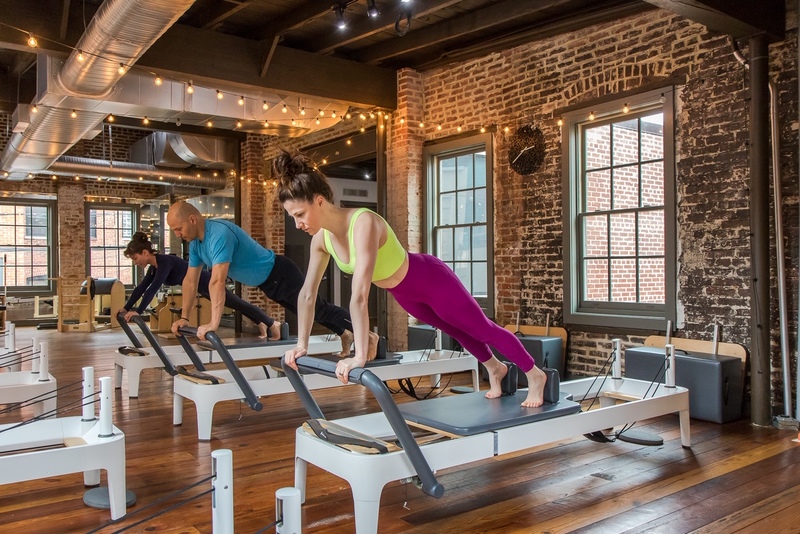 Upon completion of course and apprentice hours, apprentice will have then gained the knowledge necessary to take PMA’s Pilates National Certification. Training cost: $1,000.00. Please make payment to Toolbox LLC.